You may be looking to sell your used car for cash in Honolulu, but it seems car owners in Philadelphia are interested in renting out their vehicles for an hourly rate. 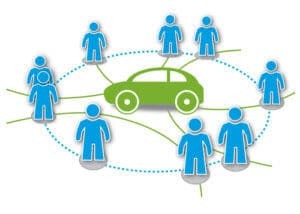 Car sharing is a growing trend all around the country, and has been popular for a long time in the Philly area. The new service, called Getaround, is different from other services like Enterprise-owned Philly Car Share in a major way. Those who want to rent a vehicle rent from owners rather than company-owned cars. Billing the service as the “Airbnb for cars,” Getaround launched on August 2. There are advantages and drawbacks to the program, which allows those who want to rent a car do so by the hour, day, or for several days. How much the hourly rate is depends on the make, style, age and other factors. From Teslas to F-150s and Priuses, all kinds of vehicles are available with some renting for a few bucks an hour while others are $25 an hour or so. Owners who want to rent out their vehicles must have them inspected and road tested; the car must be a 2006 or newer model, with 125,000 miles or less. Essentially, owners can make money by sharing their vehicles when they might otherwise be sitting idle. On the down side, owners complain about the dirty condition drivers leave their vehicles in and depreciation of their vehicle’s value. Good idea or bad? There are mixed reviews about this new type of car sharing service in Philadelphia, but time will tell whether it proves popular. If you’re interested in selling your car, truck, or SUV for instant cash in Honolulu, look no further than CarMark Hawaii. As long as your car is a 2007 or newer model and meets our criteria, we’ll give you cash on the spot – even if it’s not paid for! Instead of listing your car for sale online or in the newspaper and waiting for weeks or even months for it to sell, trust the used car buyers who’ve been around for a quarter of a century. Sell your car today.